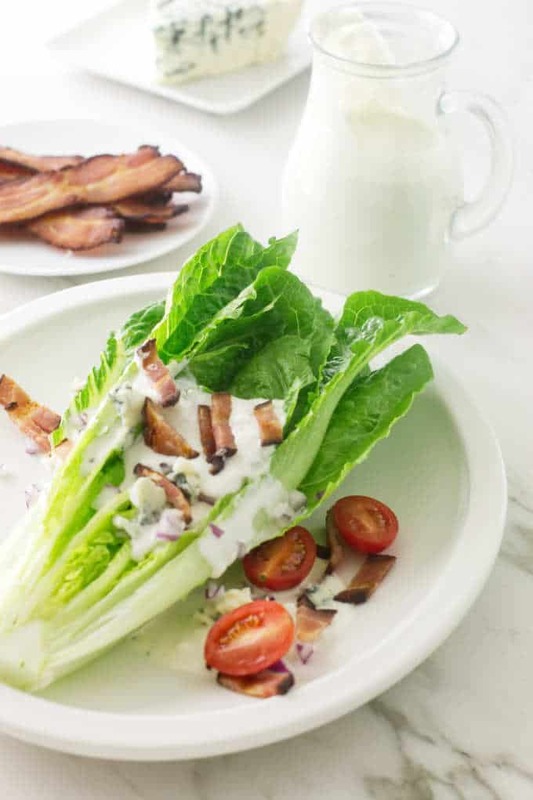 This blue cheese salad dressing is creamy, chunky and really delicious! Use it not only as a dressing for your salad but also as a dip at your next party. 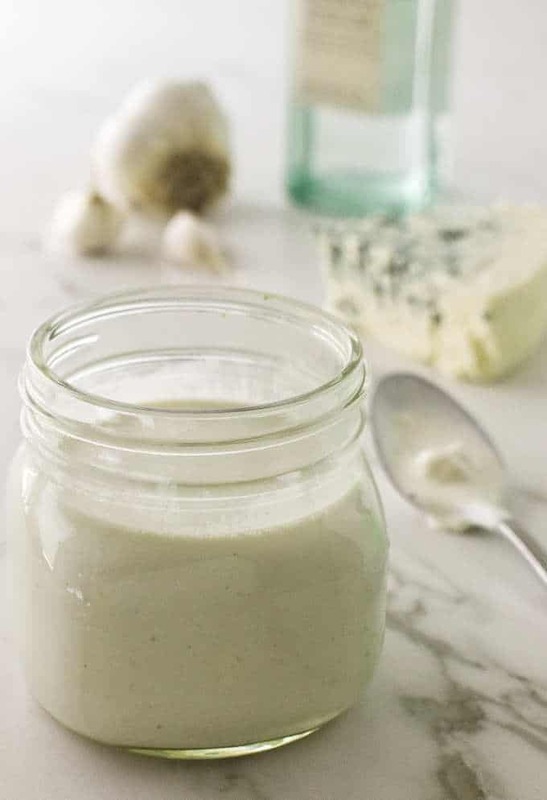 I knew this recipe for Blue Cheese Salad Dressing was in my recipe treasure box. It took me the best part of an hour to find it as it was almost to the bottom of the box. Searching through that recipe box is always fun and brings back memories. It is almost like looking at an old photo album. There is a date on this recipe, June 1964. Don and I had just began our dating adventures. Now here we are fifty-plus years later still married. Don’s friend, Joe, lived on a boat and he had invited us for dinner. According to Don, Joe was an outstanding chef. What did we have for dinner?? I do not remember. After all, that was 50 years ago! But…we did leave that boat with his blue cheese salad dressing recipe which I am excited to share with you. 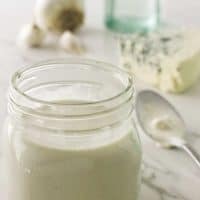 This is the very best homemade blue cheese salad dressing I have tasted. And it is far better than any store-bought product. 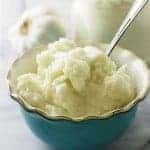 It is so easy to make and takes just a few minutes to whip up. It is my go-to blue cheese salad dressing. 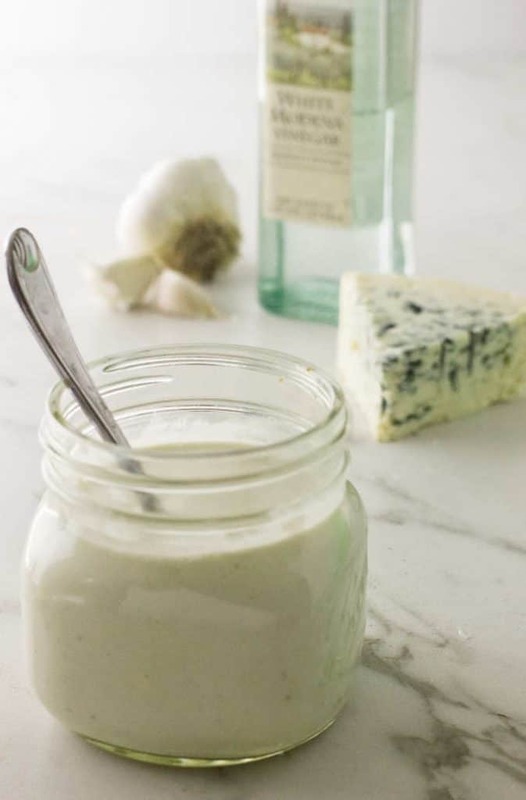 This blue cheese salad dressing uses three kinds of cheese and is thick, creamy and dreamy. When buying the blue cheese, buy a chunk of it and not the packaged crumbles. Also, we recommend using whole-milk cottage cheese and buttermilk. Oh, this is so easy and takes less than ten minutes. Everything goes into a blender at the same time. Cream cheese, cottage cheese, blue cheese, buttermilk, vinegar, mustard, garlic and Worcestershire sauce. Put the lid on the blender and begin blending on medium speed. 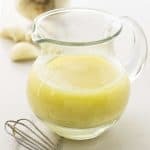 Gradually increase the speed until the dressing is smooth and creamy. If you like a chunky blue cheese salad dressing, add crumbled blue cheese after the blending. Transfer the dressing into a lidded glass jar and keep refrigerated until ready to use. How Long Will This Blue Cheese Salad Dressing Keep? This easy, quick recipe makes two cups of delicious salad dressing. It will keep in the refrigerator for up to two weeks. If you don’t eat it all before two weeks. Can you freeze blue cheese salad dressing? This blue cheese salad dressing can be frozen but the texture will change when you thaw it out. Since it has dairy products in it, the salad dressing will change consistency after it has been frozen and then thawed. Dairy tends to separate after it freezes. The good news is that you can easily remedy the problem. 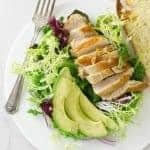 If the salad dressing doesn’t seem as creamy after you thaw it out, give it a quick blitz in the blender or use an immersion blender to get it back to a nice, creamy texture. If you do freeze this salad dressing, it can be frozen for up to six months. Our blue cheese dressing is also wonderful on baked potatoes and Roasted Beet Salad. Also, try it as a dip with a plate of fresh sliced veggies. Did you make this blue cheese salad dressing? We would love to hear from you. Drop us a comment below. Put everything into the blender and process until smooth. If you like a chunky-type dressing add crumbled blue cheese after the processing. Pour into a container and refrigerate up to 2-weeks. Makes about 2 cups dressing. When buying the blue cheese, buy a wedge or block of it and not the packaged crumbles. For a chunky dressing, use a fork to break off chunks from the wedge and add after the dressing has been blended. This would never last two weeks at my house — it’d be gone long before. Probably in hours. 🙂 Terrific recipe, fun story — thanks!